As part of the GCOE-INeT Summer School at Hokkaido University this year I have had the opportunity to use Samani Town as a case study of “the sustainability of coupled human and natural systems”. The small coastal town of roughly 5,500 people is dependent on farming, fishing, forestry, mining, and increasingly tourism. Samani town is one of the oldest towns in Hokkaido Island and kelp fishing just offshore traces its roots back to the Ainu people who first populated the area. While other industries are important to life and economy in Samani, fishing deserves special note both because of the history and the successful local management. Kelp, known locally as konbu, is used for all sorts of food – most notably soup, but also as a salty snack, a sour candy, flavoring in other dishes, and even ice cream. The fishery is the summer portion of a year-round traditional rotation including salmon, shellfish, and urchins. Since 1970, kelp has been cultivated in protected areas of the coast. Along Samani’s coast, however, the strong current and wave action prevent kelp plantings from taking. Fishers have tried, but to no avail – so the catch remains wild. Fishery management in Japan is delegated to local cooperatives. In this case, Samani has 2 fishery cooperatives as part of the Hokkaido Federation of Fishing Cooperative Associations. The town has 20 active fishing families running 80 boats out of a working waterfront maintained by the cooperatives. The main functions of the cooperative are to decide on permits and fishing seasons. The kelp season begins on July 5th and runs for 2 months. Bad weather and tides reduce that 2 months to 20 working days, where fishers are allotted hours of fishing time. Each year the cooperative meets to re-evaluate the season and permitting. Sales are decided through a cooperative auction, where processors can purchase the day’s catch. 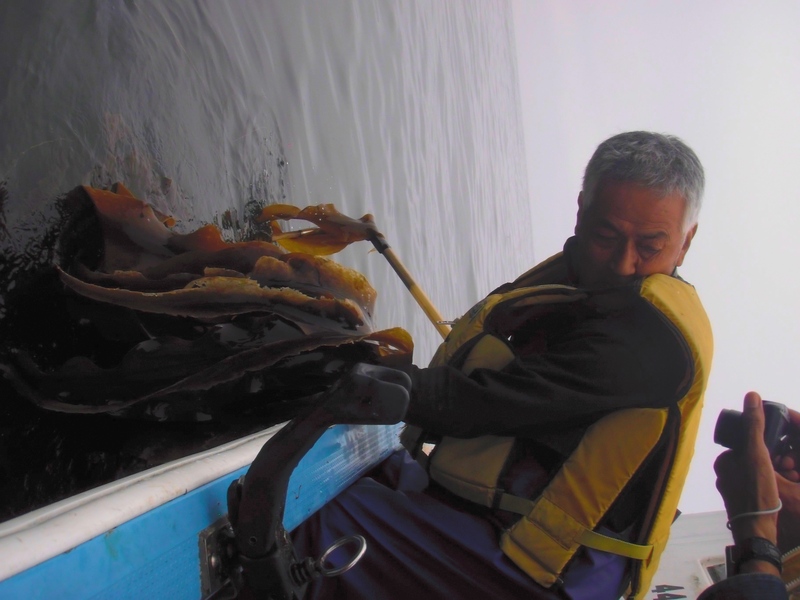 Market demand and quality of the kelp determine demand. 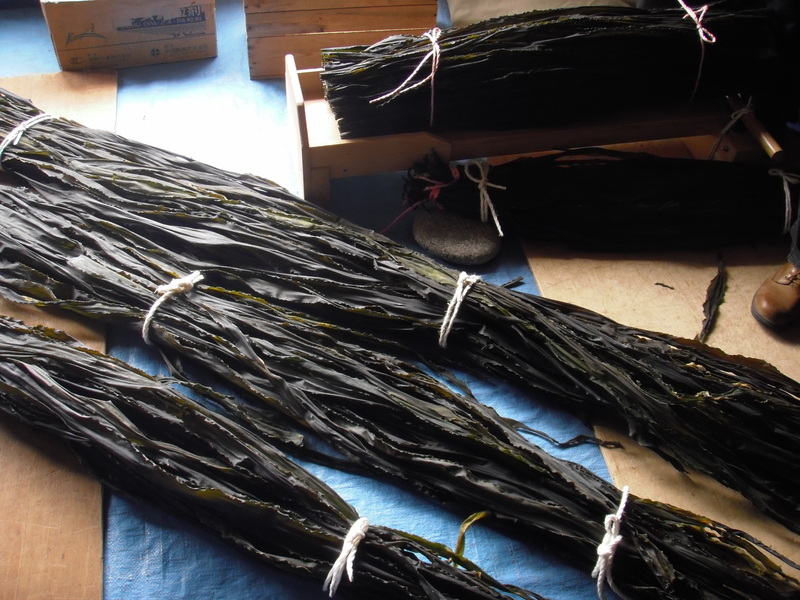 Much of the kelp is packaged and shipped elsewhere in Japan, as the small local population’s market is easily saturated. Since each town’s specific ecology and geology affect the taste and texture of the kelp, price varies widely by location. Each package of kelp is clearly labeled with the town of origin. Fishers of Samani enjoy a relatively large premium from this marketing. As Barrett and Okudaira cautioned in 1995, not all fishing cooperatives in Japan are capable of successful management and adaptation. Wide variation in structure, egalitarianism, and capital investments result in wide differences in adaptive capacity and environmental stewardship. However, the presence of cooperatives sometimes does enable both successful economic and environmental outcomes where other institutional arrangements consistently fail. Samani’s fishers face many of the same challenges of rural fisheries worldwide – decreasing population, increasing pollution, climate change, global market pressures, etc. – but are nestled in a town actively seeking a sustainable future evidenced by optimism and efforts within town leadership. Iida (1996) determined that the dependence of kelp fishers on the aid of the cooperative to make high quality kelp enables sustainable resource use in Hokkaido. Since these early studies, the cooperatives have invested in technology, infrastructure, and practices that help in the mission of maintaining a small-scale, place-based fishery. The fishers that took us out for a short trip had water quality test equipment and a remotely operated vehicle to check on the kelp beds they fish. During the off-season, such monitoring activities occupy much of the fishers’ time but ensure a high-quality product come summer season that is worthy of the Samani label. Using the ROV, they are able to check on urchin populations to make sure they’re not taking over due to the lack of otters in the region. They also check on the holdfasts to make sure that the kelp has a strong and consistent anchor not damaged by other boats coming in and out of the harbor. 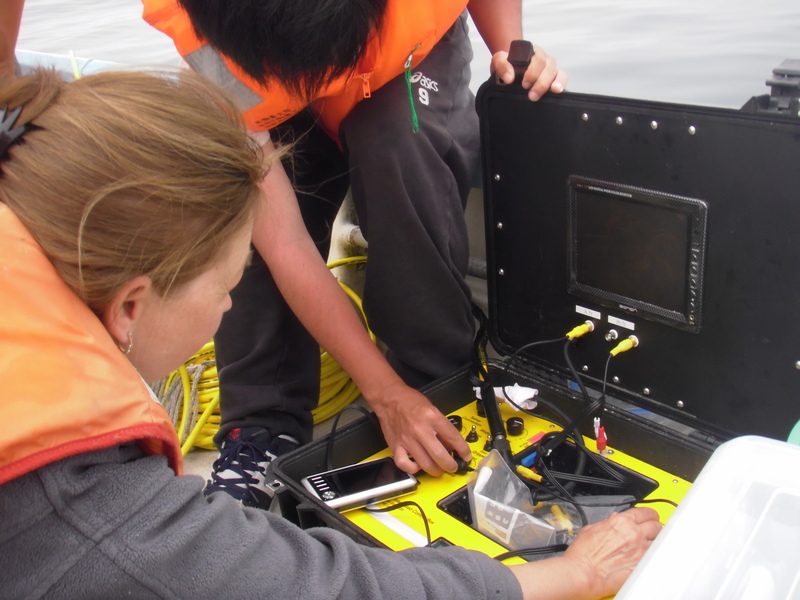 The water quality monitoring is primarily to check turbidity of the water, ensuring the kelp can get enough light to grow to a marketable size in a year or two. If the water gets turbid due to land activities, the watershed is small enough to identify the offender, knock on their door, and ask for remediation. The final piece of technology in the hands of fishers are small, handheld GIS tablets. These are connected to government and cooperative databases that contain all sorts of oceanographic and atmospheric information that affect where and how well the kelp might grow. It helps them pick which kelp beds to focus on and where to try planting. 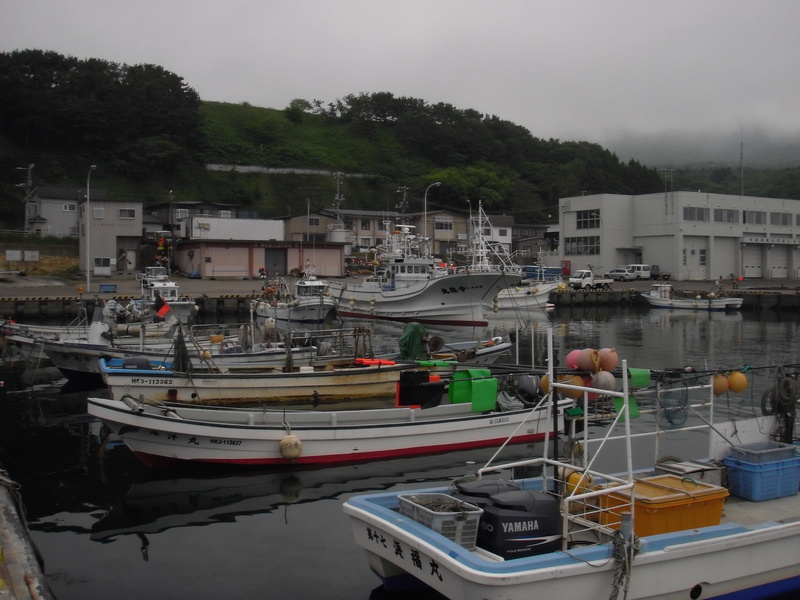 In the case of Yubetsu, Hokkaido, the fisheries cooperative decided to analyze their practices and how it was affecting their economic and environmental sustainability. Their report credits the small-scale and family-based nature of the fisheries there (scallop and crab) with creating opportunities for effective local management. Fishers must apply to the cooperative’s governing committee annually based on their previous behaviors to receive a permit. Rule-breakers are quickly weeded out this way and the total number of permits is tailored to annual monitoring activities. The structure of the cooperatives allows for a sense of trust and cooperation between the fishermen, a stark contrast to inshore fisheries in other places of the world and offshore fisheries worldwide. They must care for their local fishing grounds to ensure a profit in the coming years and, should their children so desire, a job for them in the coming generations. By creating local management institutions, the Japanese government has created institutions capable of not just fishing, but management and ecology – in essence, capable of describing the entire system as a whole before deciding to take action. That has great potential for sustainable outcomes.